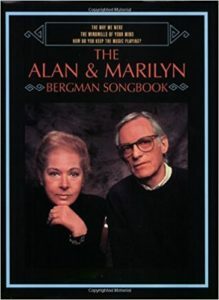 An adult love song that you won’t hear sung by Britney Spears: that’s how Michael Feinstein described ”How Do You Keep the Music Playing?” at a 50th anniversary celebration of the lyrics of Alan and Marilyn Bergman on Thursday evening at Zankel Hall. 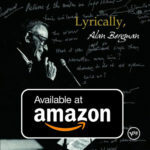 Written by the Bergmans with the composer Michel Legrand for the 1982 film ”Best Friends,” the song is a quintessential Bergman creation in its fusion of traditional songwriting craft with the more modern sensibility of self-help and therapy. And there you have the essence of Alan and Marilyn Bergman at their best. The godparents of American pop tradition keep one foot in the past, the other in the present. Mr. Feinstein, accompanying himself on piano, poured out its long-lined phrases in a soothing musical flow. When pop wisdom is imparted this gracefully, it provides a kind of artistic reassurance: if we’re all in the same boat, it can be a lovely place to be. 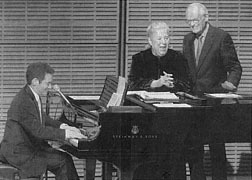 The concert was the latest edition of ”Standard Time With Michael Feinstein,” the Ascap-produced series in which the host’s two sides, the dedicated archivist who was once Ira Gershwin’s assistant and the entertainer, converge to explore traditional pop songwriting. The evening included a revealing discussion with Mr. Feinstein and the Bergmans about their history and working methods. Three guest vocalists — Carolee Carmello, Rupert Holmes and Lari White — added spice. Mr. Holmes sang the Sinatra hit, ”Nice ‘n’ Easy,” an early Bergman collaboration with the composer Lew Spence, who introduced the couple. It was the Bergmans, Mr. Holmes remembered, who introduced him to Barbra Streisand, for whom he produced the album ”Lazy Afternoon” and wrote songs for ”A Star Is Born. ”Ms. Carmello offered hefty dramatic readings of ”What Are You Doing the Rest of Your Life?” and ”Fifty Percent.” Ms. White was the evening’s big surprise. This Nashville based country-gospel singer who appeared on Broadway in the Johnny Cash musical ”Ring of Fire,” delivered a medley from ”Yentl,” that she described as ”a Baptist, shiksa version.” Internal monologues Ms. Streisand infused with a majestic yearning lost none of their power when Ms. White sang them in a more colloquial Broadway style, and the audience responded with cheers. Equally impressive was Mr. Bergman’s rendition of ”The Windmills of Your Mind,” the swatch of verbal vertigo from ”The Thomas Crown Affair” that won the couple their first songwriting Oscar. Sung in a warm, ruminative murmur, it took on the metaphysical dimension of someone watching his life pass before his eyes. By the end of the show I couldn’t help thinking that for this fortunate couple, who have been married for almost as long as they have been writing songs together, the questions posed in ”How Do You Keep the Music Playing?” have been resolved. The relationship may be the closest thing to a Hollywood ending any two people could reasonably hope to find.